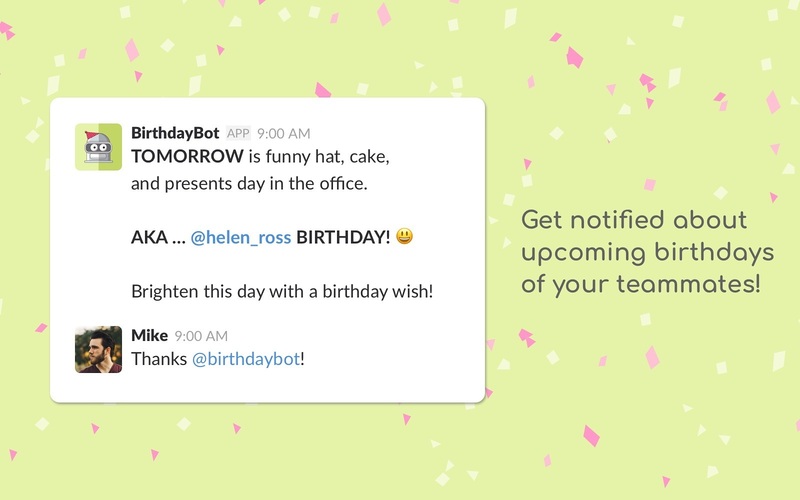 Keeps everyone informed about upcoming birthdays. 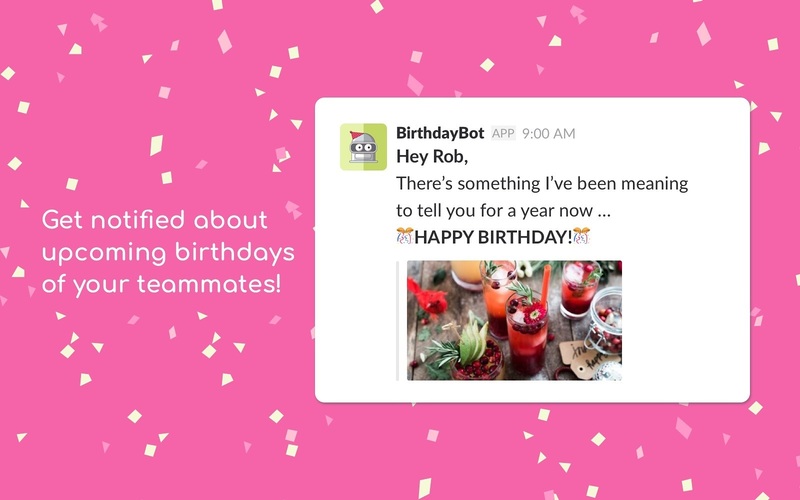 Ensures all the members of your team get a proper b-day celebration! 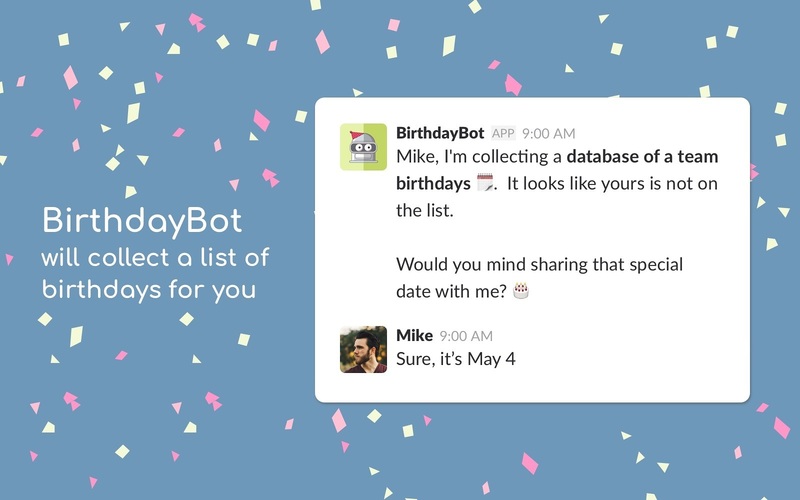 Managing time off requests, holidays, vacations & sick leaves right from Slack! Say goodbye to old spreadsheets. 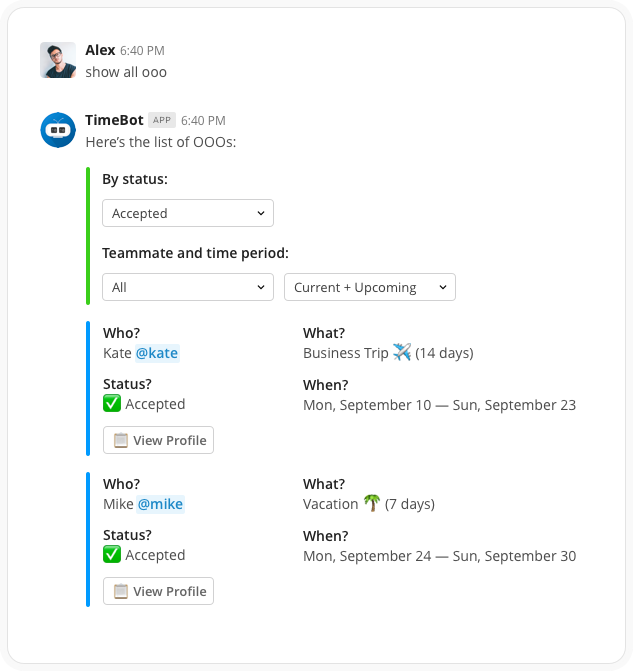 TimeBot stores the log of vacations and time off requests and keeps the team informed when teammates are taking sick leaves. Approving time offs has never been easier - single click, no context switching from Slack. 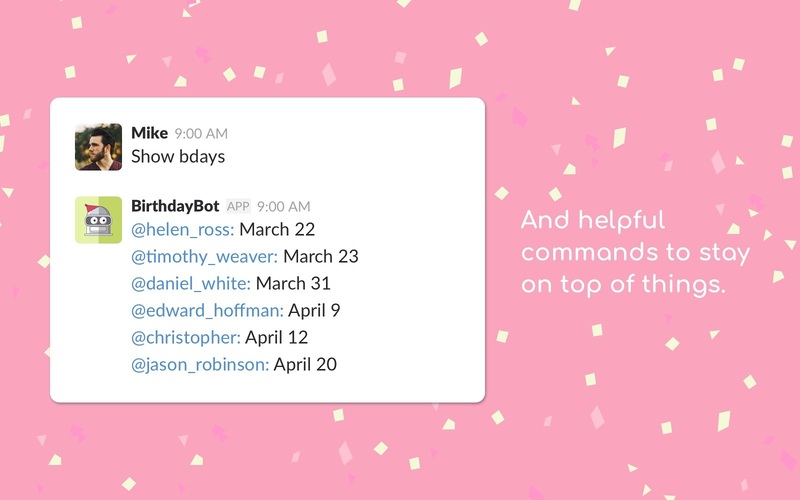 TimeBot also provides helpful tips: for example, it'll give you a hint if other team members are OOO on the same dates. Asking for time off is as easy as clicking "Add New OOO" and answering a few quick questions. Once your request is approved, you'll receive instant confirmation from TimeBot. 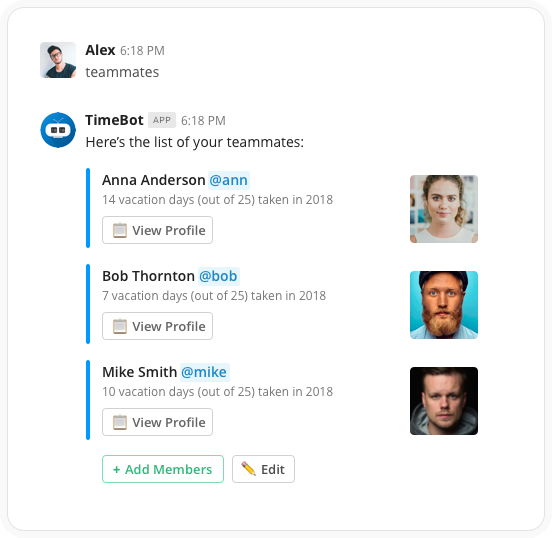 Managing your team is easy with TimeBot. Just add your employees to your team, and you'll start receiving reminders of employees upcoming leaves. 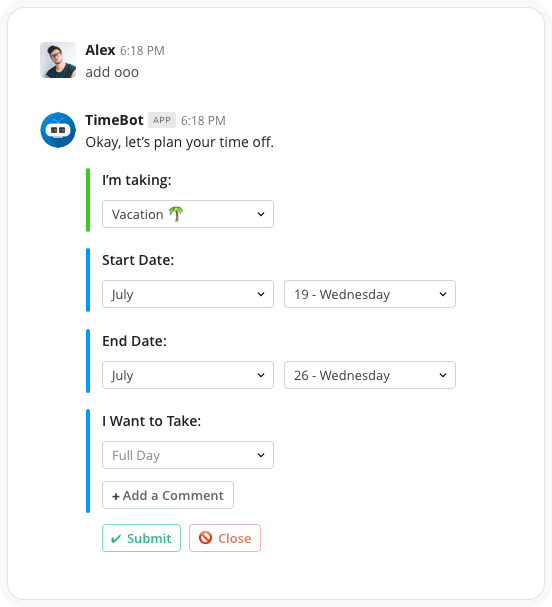 TimeBot will send time off requests to all managers by direct message and the managers can approve or reject the request with a single click straight from Slack. TimeBot makes it easy for administrators to track and manage time off requests. All done directly from Slack, all in a matter of seconds. Managers can easily create teams and add their employees, get summary reports, see who's in and out, and do better planning. Give your team a visibility on upcoming holidays - people love to plan ahead. 100+ countries supported. You can add your own holidays too! I have a question I found a problem Idea for new feature Just saying hi!